The Library Film Series winter schedule is out. Don’t let the title fool you, this film has almost nothing in common with the reality TV shows with similar names. This 1965 film stars Jack Lemmon, Tony Curtis, and Natalie Wood. It was directed by Blake Edwards. When it was released, this movie wasn’t loved by film critics, but today Jack Lemmon’s character, Professor Fate, has found a new following. 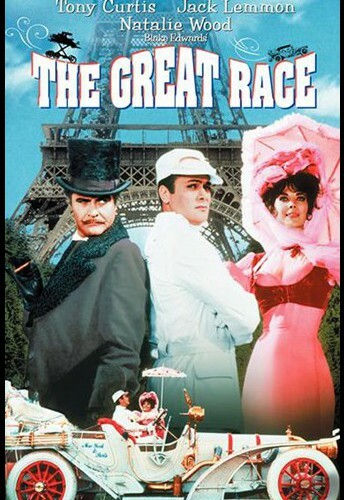 The Great Race features custom cars, amazing locations, 4,000 pies, a huge cast, and lots of action. Oscar winner for Best Effects, Sound Effects. This film that is a thriller, a romance, and a comedy all in one. 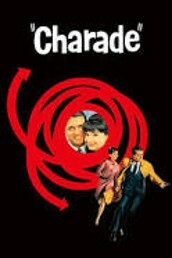 Released in 1963, the film stars Cary Grant and Audrey Hepburn. Filmed on location in Paris, with a soundtrack by Henry Mancini, and a strong screenplay, it is a great example of mid-century films. Directed by John Ford and starring Maureen O’Hara and John Wayne. 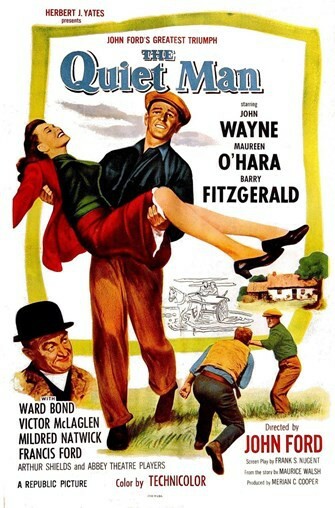 This 1952 film was shot on location in Ireland, quite a change for Ford and Wayne’s films, normally set in the southwestern United States. The story of a troubled boxer who returns home to settle down and live in peace until he finds conflict with another land owner and his sister. 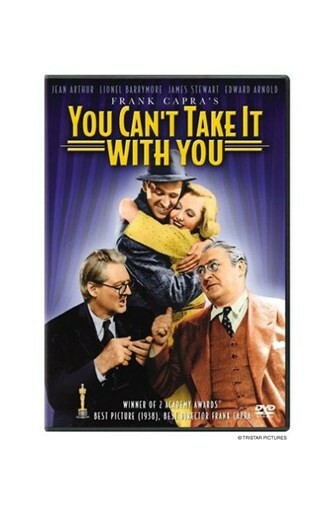 Directed by Frank Capra and starring Jimmy Stewart, this Academy Award winning 1938 film is based on the Pulitzer-Prize winning play. Still an audience favorite after all these years. The library is planning a vinyl record exhibition in the spring. 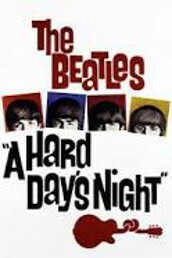 We’re supporting it with a student requested film, A Hard Day’s Night. This 1964 mock documentary captures all the energy of the Beatle’s film debut just as John, Paul, George, and Ringo achieved world fame.